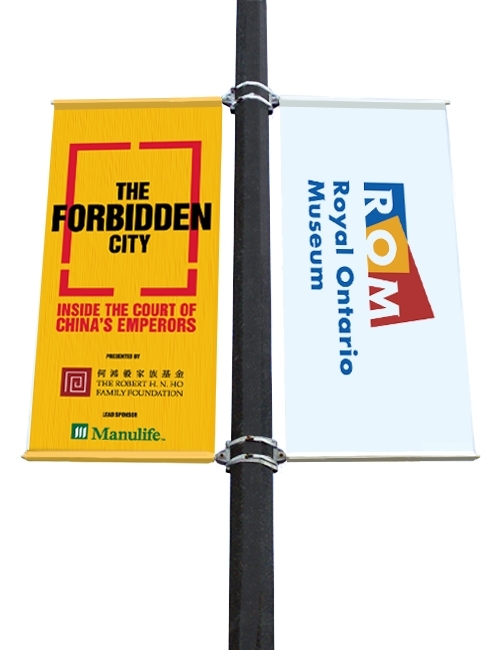 Our Street Light Pole Banner Sets are a great way to add atmosphere to any street or neighbourhood. Their aluminum base cast is specifically designed to fit to any street pole or lamp post whether it is square, round, or multi sided. This product is perfect for any business or institution who wants to let their voices be known in the streets for all to see. It is a great way to drive traffic or increase exposure to the general public! 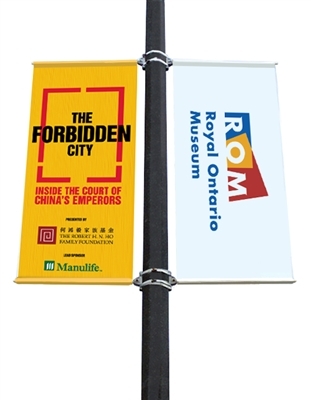 The fiberglass rods used to keep the banner intact is specially designed to withstand many weather conditions, so that you won't have to worry about your banner while it's up! 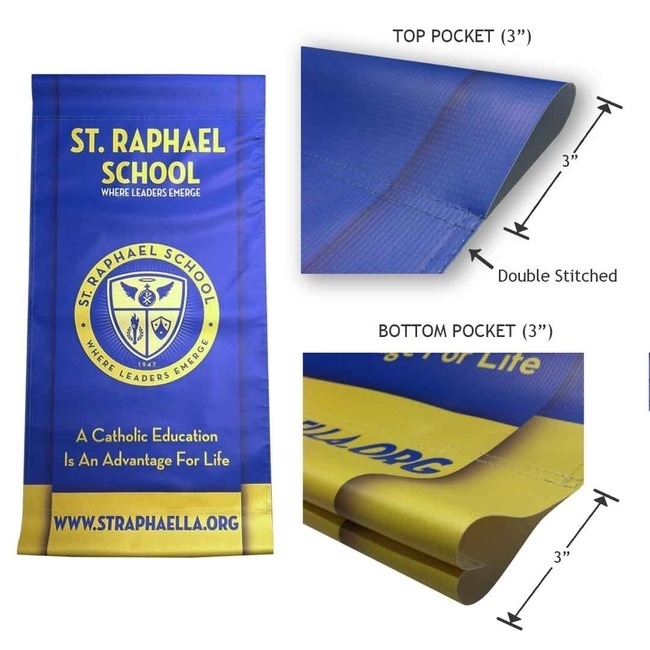 40" Stainless steel bands and aluminum base will not rust while keeping your banner secured for banners up to 18" wide. Comes in 26", 36", 48" height options. Click the button below to get the artwork template of the Street Light Pole Banner Brackets 18" Double Set.